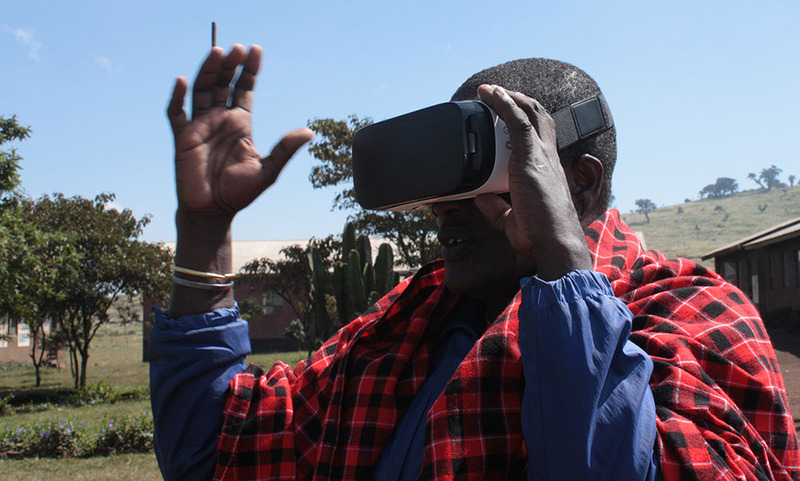 The Goodall Foundation approached us with an ambitious proposal to build two VR experiences that would help accelerate the growth and effectiveness of education in Tanzania. The first module was a realtime module developing language skills. We took the viewer to our CGI version of the African Savannah where the children saw the story of the Beetle and the Bee, a modern day fairytale taking place with a supporting cast of Zebras, Elephants and Lions. There was then a question and answer session at the end that tested the user on some key phrases from the experience. The experience was available to be listened to in both English and Swahili with the graphics for both languages translated throughout. The second module was a pre-rendered 360 CGI film developing Maths skills. The film focussed on fractions as this is an area that children learning Maths often find a tricky concept. By combining space and our friendly Maths Robot we were able to show a number of ways of looking at fractions as well as providing a fun experience with some ideas on how to practice the lessons without a VR headset.